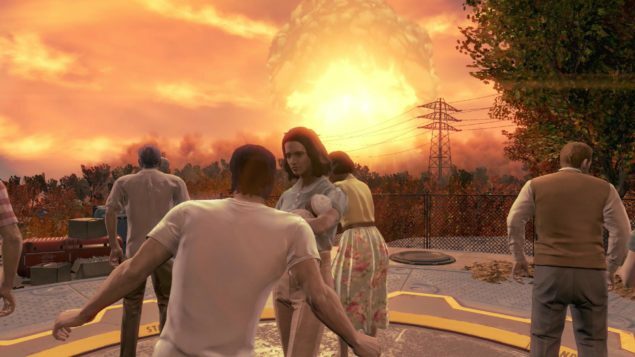 Bethesda’s latest big RPG has been out for just two days and reports on Fallout 4 performance are starting to flow on a regular basis. Digital Foundry has published their analysis for the PC version of the game, and there’s at least one very surprising aspect: it seems like Fallout 4 performance might be heavily influenced by RAM speed. That’s a 22 per cent increase in performance with faster RAM comparing the slowest to the fastest. Now, this scenario is an exaggeration as the GPU is a major limiting factor in performance and by using a Titan X at a low resolution, we have removed that bottleneck. So are there any real-life applications? Well, click on the shot above to see that – yes – faster RAM can make a difference in general gameplay, even with Fallout 4’s v-sync cap, and without an outlandish lack of balance in system components. Essentially, when the CPU is the bottleneck, faster RAM can provide an often dramatic increase in performance. However, before considering an upgrade, make sure your motherboard is compatible with faster memory. Usually this functionality is reserved for the top-end chipsets. Unfortunately, we are unable to try this ourselves at the moment, but it’s certainly something that caught our interest. Could the case of Fallout 4 performance be just the first one towards a future where RAM speed finally matters? It’s hard to say right now. As for the rest of the conclusions published by Digital Foundry, it’s worth reminding that Fallout 4’s biggest performance issues are concentrated in one specific area of the game: Boston. 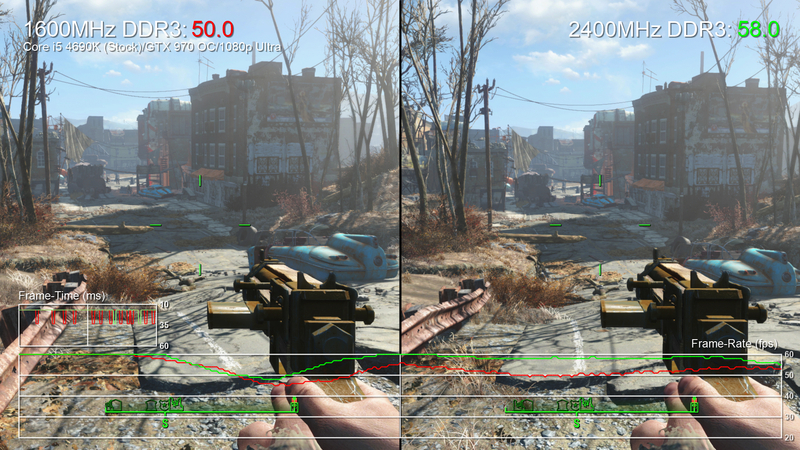 Within the ruined city, even powerful hardware like 980Ti has issues running the game smoothly on Ultra settings at 1080P, which is why you should keep in mind that any benchmark made elsewhere in the game is not fully representative of Fallout 4 performance. Stay tuned for our full review on Bethesda’s latest Fallout installment.